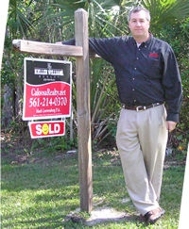 Sellers Get The Market Value Of Your Home Here! 14790 Wind River Estate In Caloosa Is On The Market Now! CBS Home on fully fenced 5 acres just a short hop step and jump from Caloosa's community 32 acre park! Mariner's Cove Waterfront TownHome With Intracoastal View! Realtor Geek Out With IMSD! To Snow or Not To Snow? / Atlanta Georgia or West Palm Beach Florida? Equestrian Key West Property With Barn On Fenced 5 Acres In Caloosa! Caloosa 5 Acre Property With Turnkey Home And Detached Guest Home Too! 2280 Treasure Isle Waterfront Home With Boat Slip (and Boat) For Sale! Price Update For Waterfront TH Intracoastal View In Mariner's Cove!